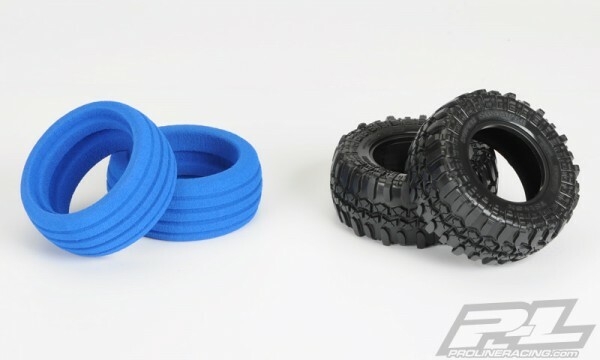 Pro-Line is bringing the popular Licensed Interco TSL SX Super Swamper Rock Crawling tread pattern to Short Course Size!This tire is perfect for adding to your Scale Short Course sized vehicle and also the new Traxxas Telluride®. With “almost scale” not being acceptable and access to Interco’s design data, Pro-Line’s engineering staff has reproduced the Super Swamper in a scale configuration matched by none. 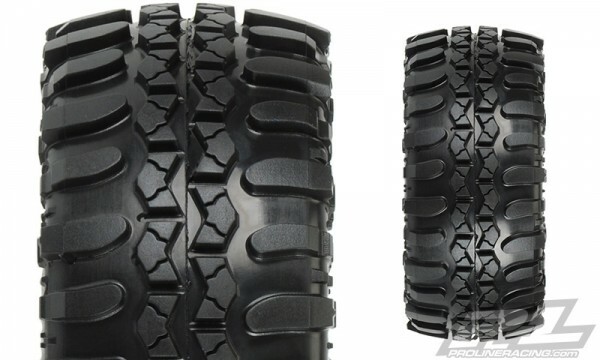 The Super Swamper is a great All-Terrain Tire that can handle dirt, gravel, mud, rocks and even the street – all while looking good doing it. 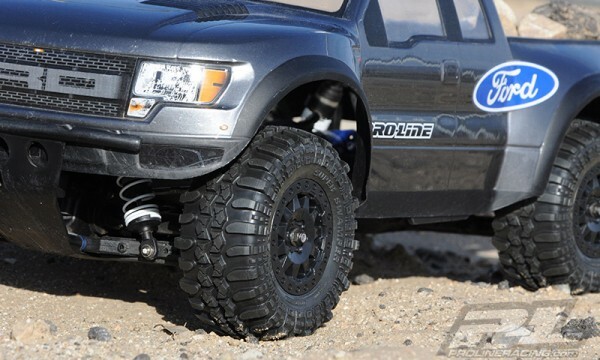 Finish the look of your Scale Short Course off with one of Pro-Line’s popular True Scale bodies like the Ford Raptor SVT, Chevy Silverado HD, 1966 Ford F-100 and even our Desert Raid!